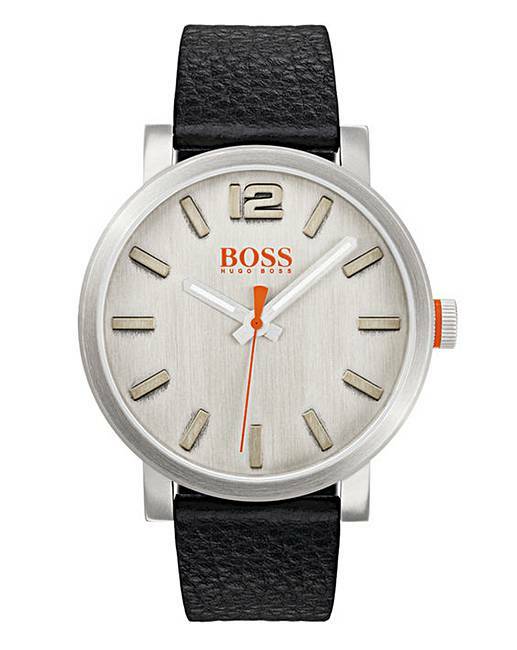 Boss Orange Gents Leather Strap Watch is rated 5.0 out of 5 by 1. Boss orange gents 'bilbao casual' watch. Black leather strap. Silver tone dial with silver with Boss orange logo. Case width 42mm. Case depth 9mm. Quartz movement. Water resistant to 30m. 2 year manufacturer's guarantee.